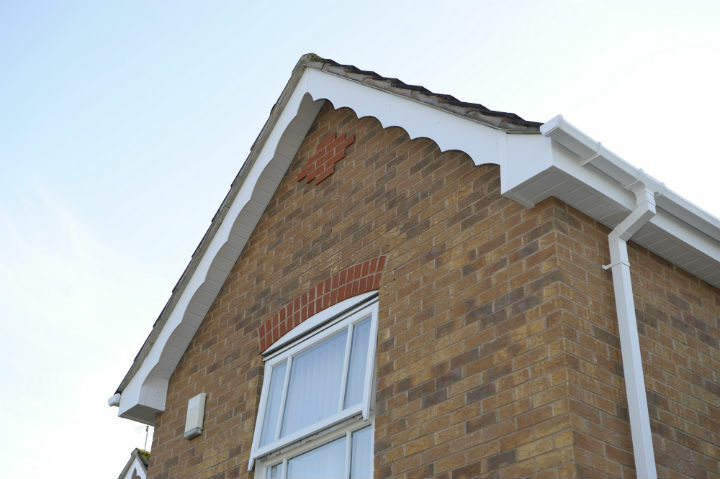 Decorative bargeboards and fascias create a really distinctive look and can be used on the rooflines of both traditional and modern homes. You can choose from a wide range of decorative options including scalloped bargeboards and decorative mouldings when planning your repairs to enhance the appearance of your roof line. These fit at the apex of the roof to give both a decorative and neat finish. They come in a variety of sizes and colours to match the rest of the roofline. Popular in houses built during the 1920’s and 1930’s, these exposed timbers were added to make an attractive feature of the gable area. The originals were made of wood and consequently without regular maintenance can become rotten and unsightly. PVC roofline products are available in woodgrain finishes and provide a low maintenance alternative that is quick to install and easy to maintain. My new roofline looks clean, smart & modern. A few of my neighbours have commented on how good it looks. I’m delighted with the results.